LINCOLN, Neb. 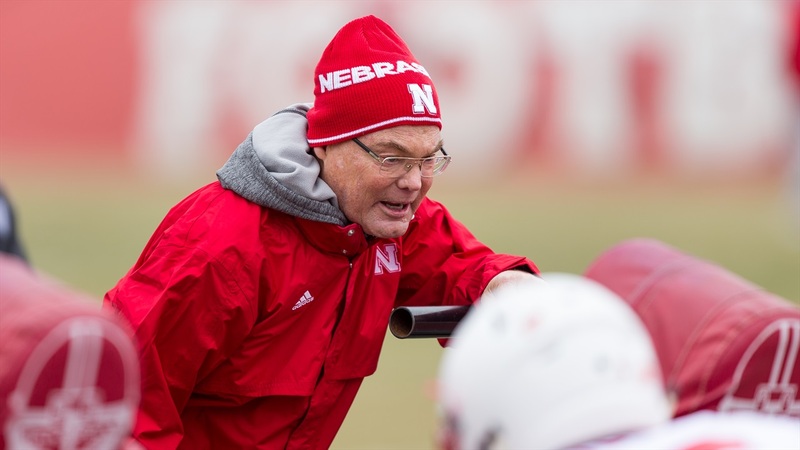 — Husker practice rolled on Tuesday afternoon despite the un-spring-like temperatures and defensive coordinator Bob Diaco said the team has made good progress learning the new scheme. Linebackers coach Trent Bray said the transition for the coaches has been smooth in part thanks to the work they put in as a staff prior to the first practice. “The good thing is we got a chance as a staff to sit down for a long time before spring ball started and hash out exactly what [Diaco] wants, what he expects, so once we actually got to the practice field that wasn’t hard,” Bray said. Diaco and Bray are working together to coach the linebackers as they shift to the 3-4 and Bray said he has enjoyed the experience. Likewise, Diaco had nothing but praise for Bray. Bray said the two are trading off working with the outside and inside linebackers, and that the difference between the two positions is greater than it was in a 4-3 defense. Bray highlighted a few players that have done really well making the adjustment to their new positions in the early going. In fact, Bray said he thinks Young is a better fit for the 3-4 than a 4-3 anyway. Safeties coach Bob Elliott also offered some high praise for Aaron Williams mostly unprompted. According to Bray, the depth chart is definitely in flux at this stage, both in order and in position.